Nuby Printed Round Feeding Bottle - 240 ml | Red | BPA Free. 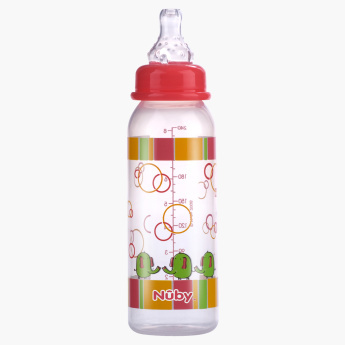 Get this leak-proof bottle which is apt for feeding your baby. It highlights fun prints with bright shades that help develop your little one's visual sense. This bottle is BPA free hence it is absolutely safe for your baby. Feature 2 : Leak proof. Feature 3 : Fun prints with bright colors to develop visual sense.